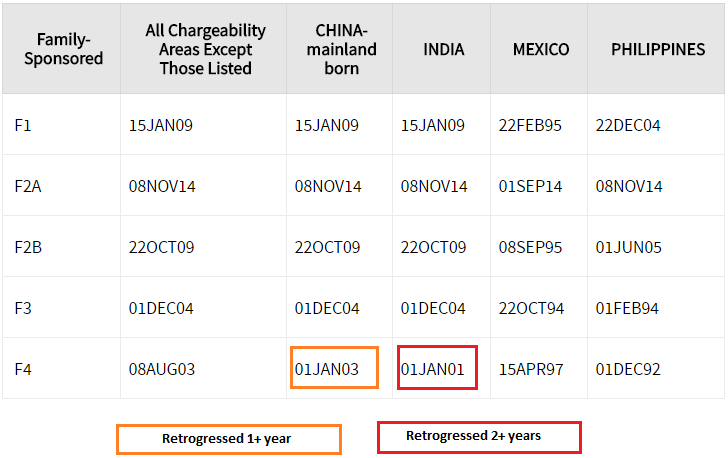 The Department of State has released the June Visa Bulletin, which contains year-plus retrogressions in 5 categories: India EB-2; India EB-3; China EB-2; China F-4; and, India F-4. 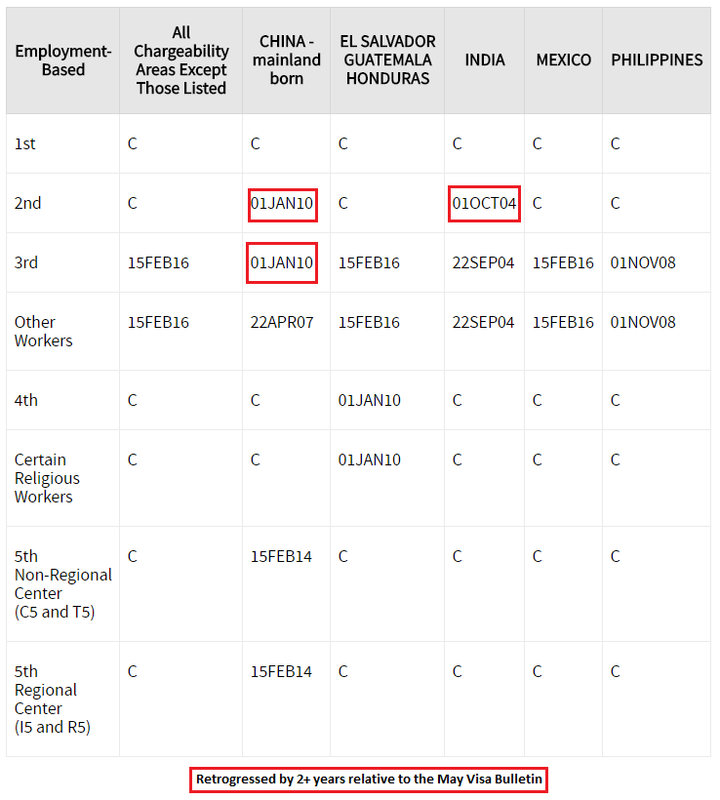 In addition, USCIS has confirmed that it will accept filings based on the “Final Action ” chart for both family-based applicants and employment-based applications during the month of June. The full charts are below, with retrogressions noted (click to enlarge). If you are outside of the United States and will be applying for an Immigrant Visa at a U.S. Consulate, you should continue to exclusively consult the dates and information listed at the Department of State’s visa bulletin website.